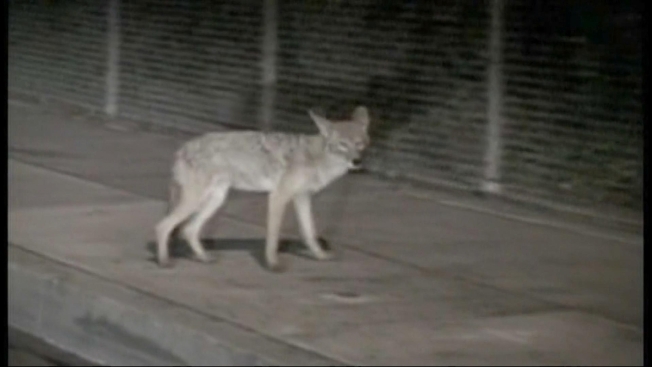 Residents of a Rhode Island town have enlisted a hired gun to rid the town of coyotes, responsible for several recent attacks on pets. Randy Lebeau owns the Sakonnet River Outfitters gun shop in Tiverton, a bayfront town 25 miles southeast of Providence. Lebeau tells WJAR-TV that several customers have given him permission to hunt the animals on their property. The Rhode Island Department of Environmental Management gave Lebeau permission to hunt the coyotes, but with limits. He cannot hunt at night and is only allowed to bait the coyotes on private property. He must stay 500 feet from houses and can only use certain guns and ammunition. Dennis Brumley, whose dog was killed by a coyote, calls Lebeau his "ace in the hole." Lebeau calls himself a coyote's worst enemy.